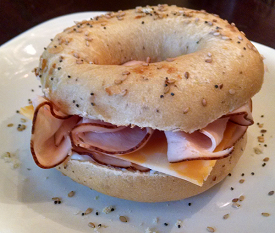 We’re two weeks into the Winter Low Carb Challenge and it’s time for the Week Two Weigh-In today! You can weigh in at the Week Two Weigh-In in our private Facebook group, or leave a comment here on this post with your total number of pounds lost since we started on October 29th. 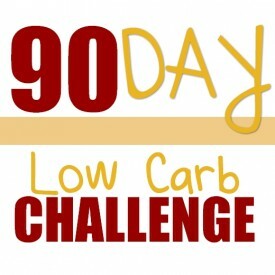 The challenge is FREE, just go to: 90DayLowCarbChallenge.com to get details & sign up. Including the “peppermint vanilla keto shake” I had this morning! I was traveling this weekend and stayed over in Atlanta at the Hotel Indigo, so for dinner on Saturday night I ordered room service. 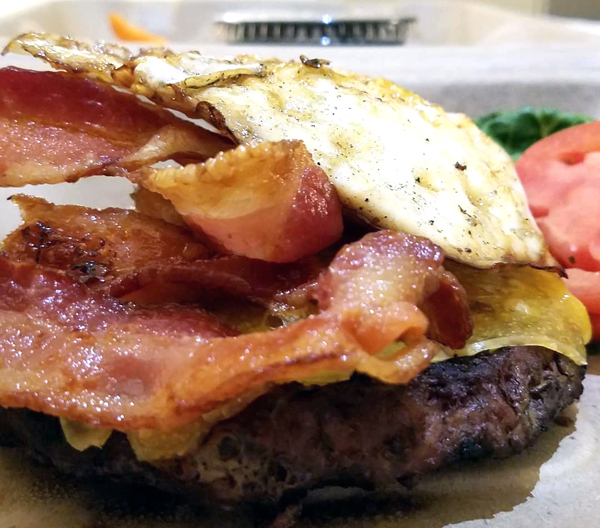 I simply asked for the cheeseburger with no bun, and “could you add a fried egg and bacon on that too, please?” I got the lettuce, tomato & mayo on the side and ate it with a fork. 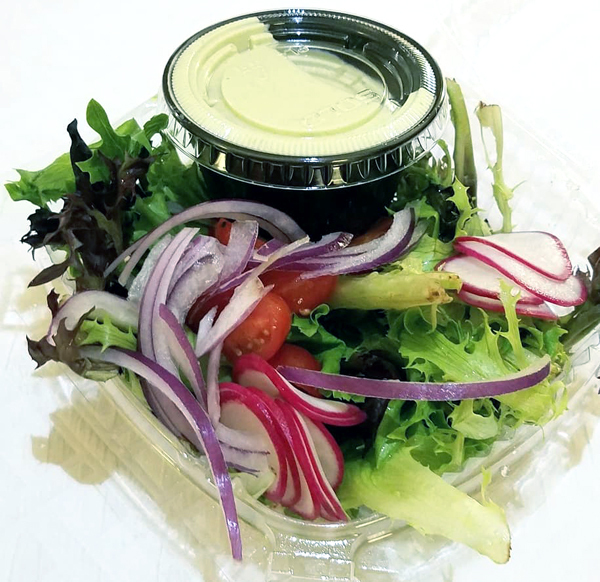 What a gorgeous salad, too! I only like the Blonde roast at Starbucks, for hot coffee. And I usually travel with Coffee-Mate Sugar Free Hazelnut Powdered Creamer. 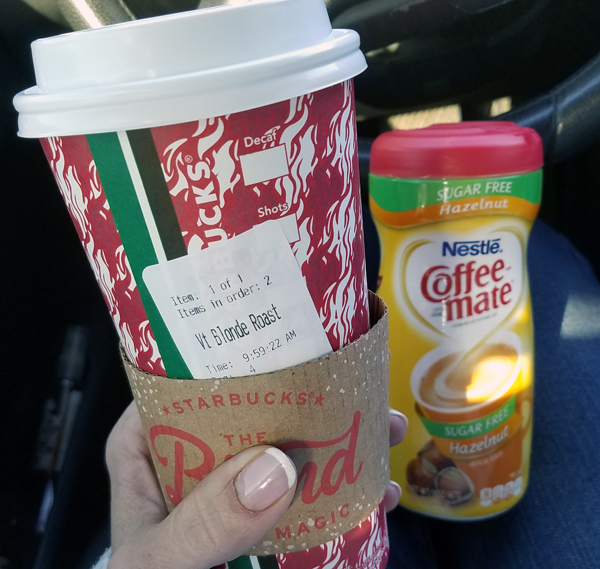 The hazelnut is their lowest carb and BEST flavor, and it’s creamier (and less carbs) than the liquid creamer. 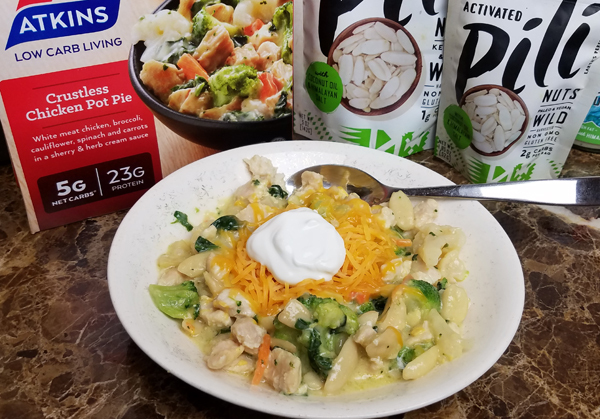 Only 1 net carb per tbsp. I only like the hazelnut, even though I wasn’t a hazelnut lover before. It’s the lowest in carbs. I’ve been through all their other sugar free flavors and ended up throwing them out. The hazelnut is delicious though – the best! 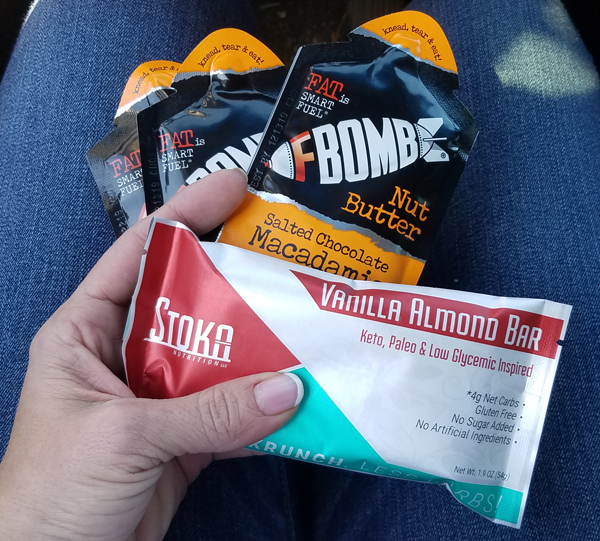 I also had some snacks with me so I decided not to stop at McDonald’s for my usual sausage and eggs OR for my favorite meal at IHOP, and just had a Salted Chocolate Macadamia Fat Bomb and kept driving. 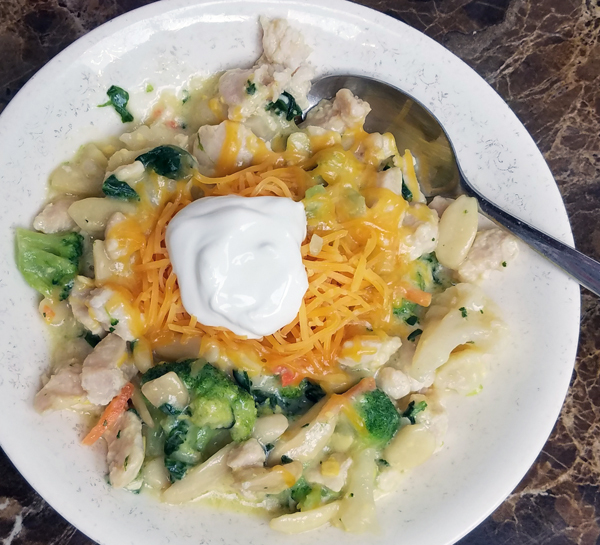 Once I got home on Sunday I finally sat down and had a solid meal: chicken, broccoli, cauliflower, spinach & soft buttery pili nuts topped with cheddar and a dollup of Daisy Brand sour cream. I got hungry again but didn’t feel like “making dinner” so I just threw together a combination of foods I had around the house. 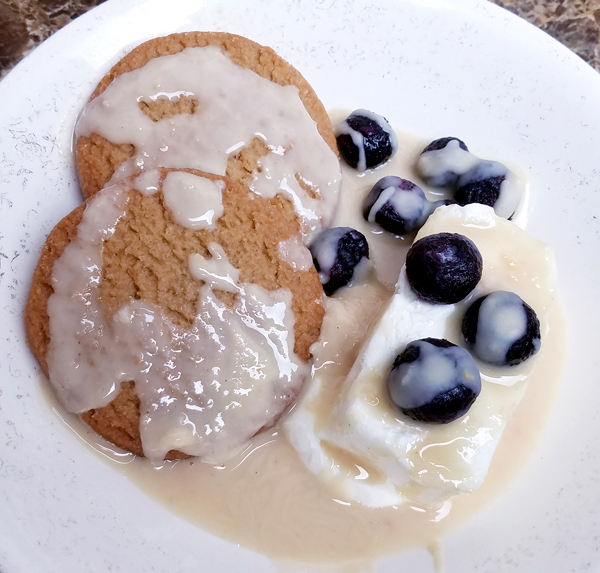 It’s two Peanut Butter NUI Keto Kookies, 18 grams of frozen blueberries, 2 ounces of Philadelphia cream cheese – all topped with Macadamia Coconut FBOMB nut butter. YUM! 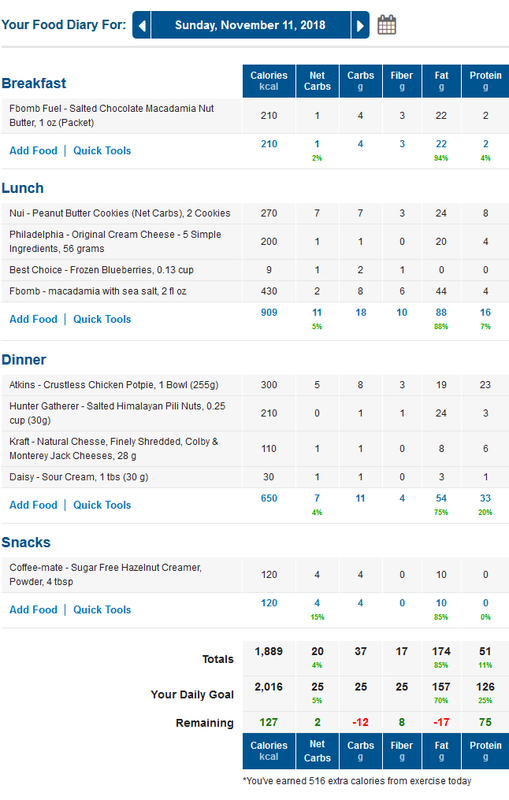 I actually had a hard time finishing that, especially when I added a second packet of nut butter to it -lol. 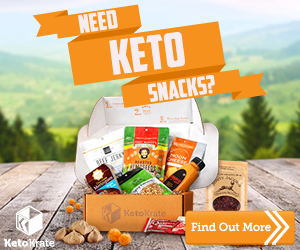 Ideal LCHF Keto Macros – Macronutrients Made Simple! 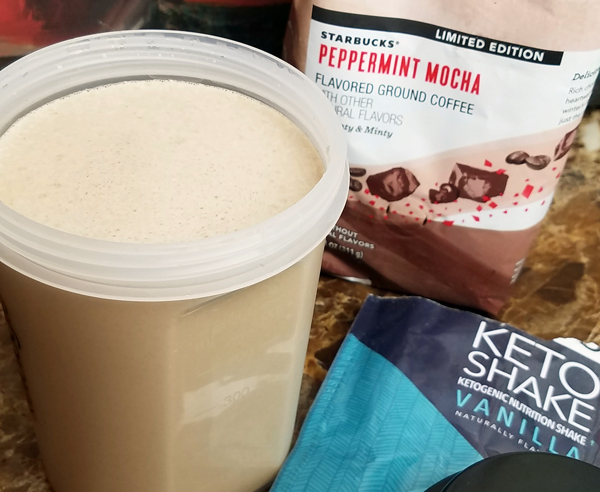 My breakfast this morning was my favorite Vanilla Keto Shake – but mixed with hot coffee instead, and Starbucks Peppermint Mocha Coffee at that! Don’t forget to weigh in today! 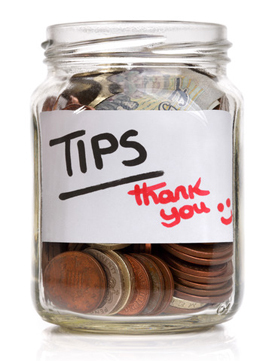 Your weight loss won’t be down down down consistently but it will be a consistent downward trend over time. More like down, hold, fluctuate, hold, down, down, repeat lol. It’s maddening if you only go by the scales and you’re weighing daily. You only want to weigh first thing in the morning right after you pee, by the way. 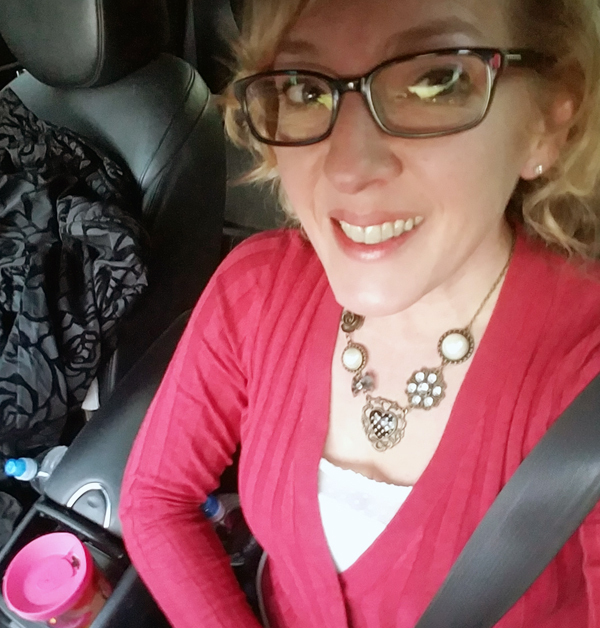 Any other time of day is not accurate as our weight fluctuates as much as 5 pounds or more throughout any given day due to water weight and hormones and all kinds of other things.